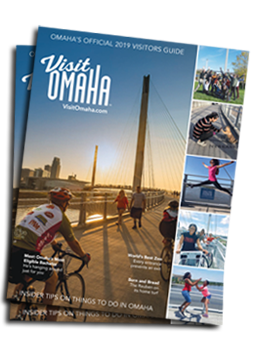 “The vision of the Omaha Sports Commission has been to make Omaha a premier sports community. With established community support for amateur athletics and world-class facilities, like the CenturyLink Center Omaha, we have the unique capability of hosting large, complex events,” said Wes Hall, President, Omaha Sports Commission. “The 2020 Olympic Swim Trials will further enhance Omaha’s image as one of the nation’s great sports communities, and we want to thank USA Swimming for their long-time partnership and commitment to bring it back to Omaha." Created in 2003, the Omaha Sports Commission is a not-for-profit entity dedicated to making Omaha one of the premier sports communities in the United States. The Commission works closely with area businesses and community leaders to recruit and promote amateur sporting events. The OSC is a “total service event team”, meaning that it is involved in all aspects of event management from bid preparation and selection to event hosting and event enhancement to post-event evaluation.